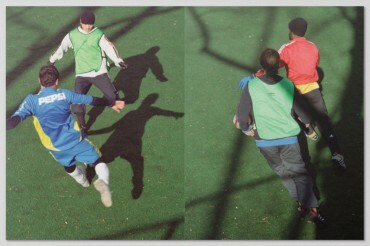 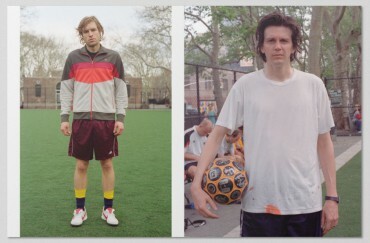 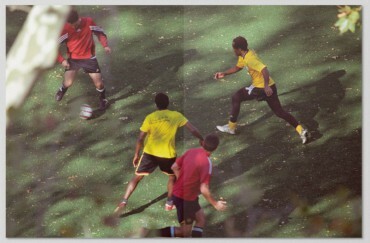 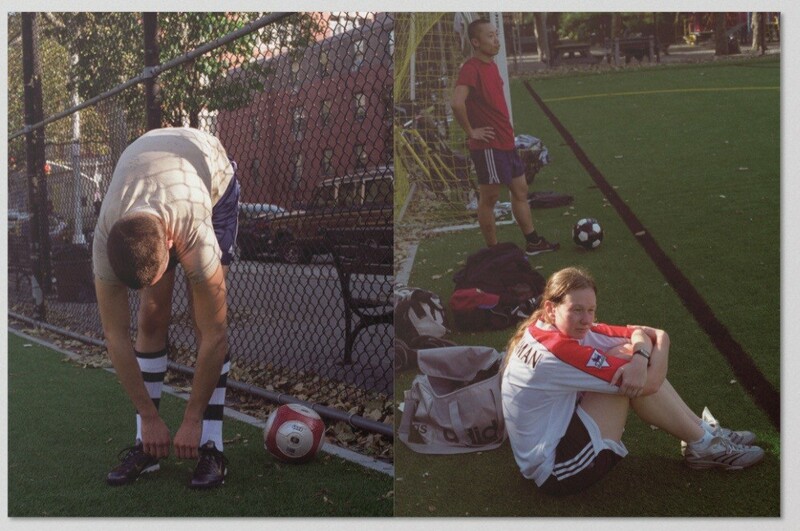 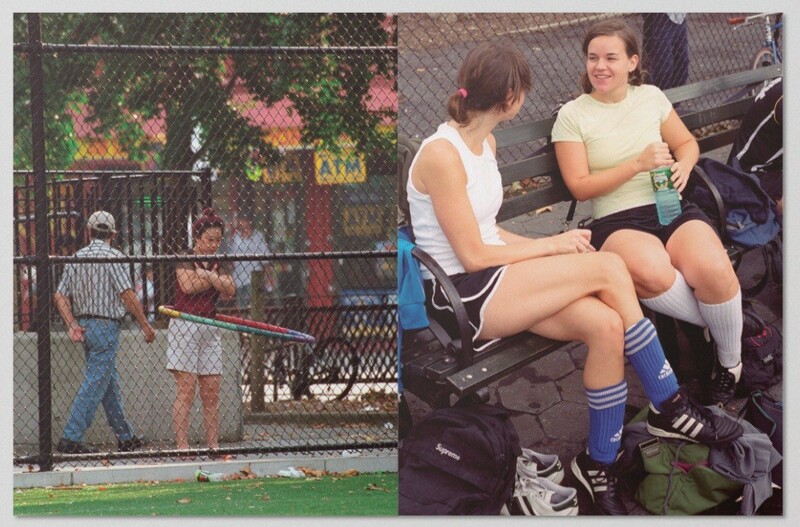 Photographs of Chinatown Soccer Club, NYC, 2003 – 2006. American born, self-made photographer and filmmaker, Peter Sutherland (Ann Arbor, 1976) became, over the last few years, one of the youngest and indisputable portrayers of contemporary society’s less obvious subcultures, such as bike messengers, amateur soccer players and graffiti artists, but nonetheless, each on its own, a phenomenon of striking impact in the global ever-growing do-it-yourself generation. Sutherland likes to create images people can relate to, his pictures “know how to touch on the very personal; each and every one tells a small story of an individual that is always embedded in a more extended game, whether it’s a soccer team or a family, a shared artistic ideal or an existential job like biking messages around Manhattan” as Angelique Spaninks writes in the essay for Game, a publication born out of a collaboration between Nieves and MU. Game is released in conjunction with the homonymous exhibition at MU Foundation (Eindhoven), between January 27 and February 25, containing a selection of photographs of the New York based Chinatown Soccer Club, of which Sutherland himself is a member. 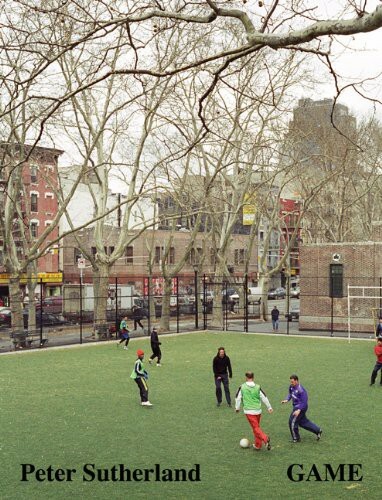 The Club is made of artists, designers, poets and local fellow friends, who have in common the passion for football and early morning games in their Chinatown’s surreally quiet playing ground, located in heart of frenetic New York. 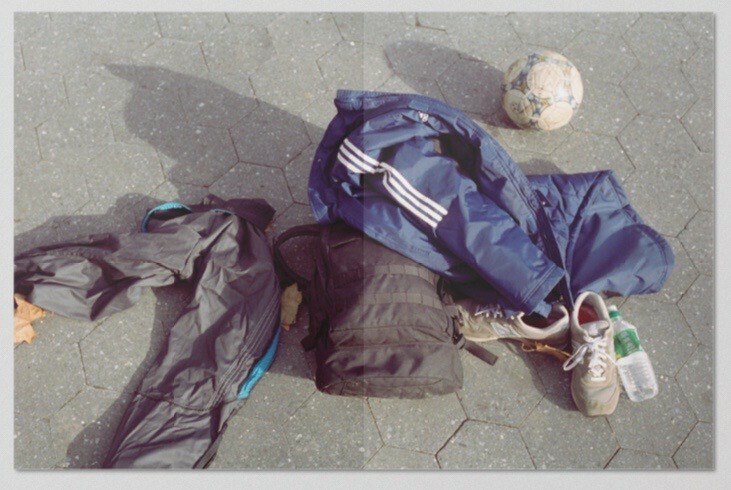 Peter Sutherland has previously shown worldwide at locations such as Someday (Melbourne), Colette (Paris) and CC Room (Berlin). 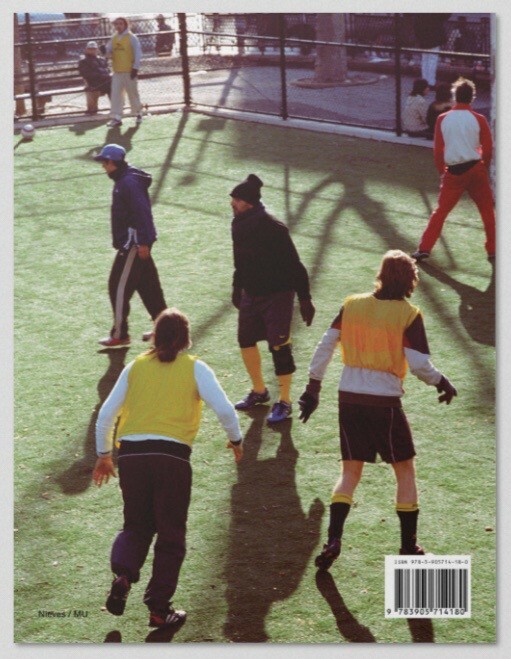 Amongst his previous publications we can find the book Autograf and the highly-praised documentary video Pedal, as well as the more personal book Coming Home published by P.A.M. Books in 2006.